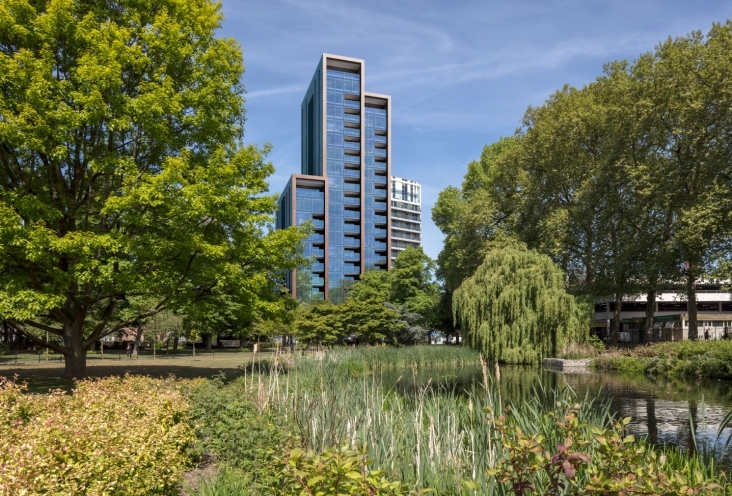 Located in the heart of Wandsworth, Bronze is a 20-storey tower comprising 77 apartments and 1,500m2 of workspace. 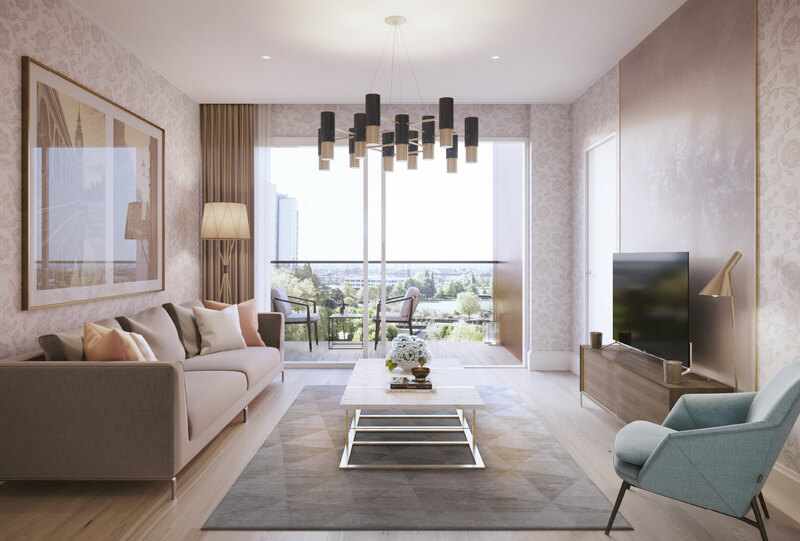 We developed the scheme for Strawberry Star Developments from RIBA Stage 4. 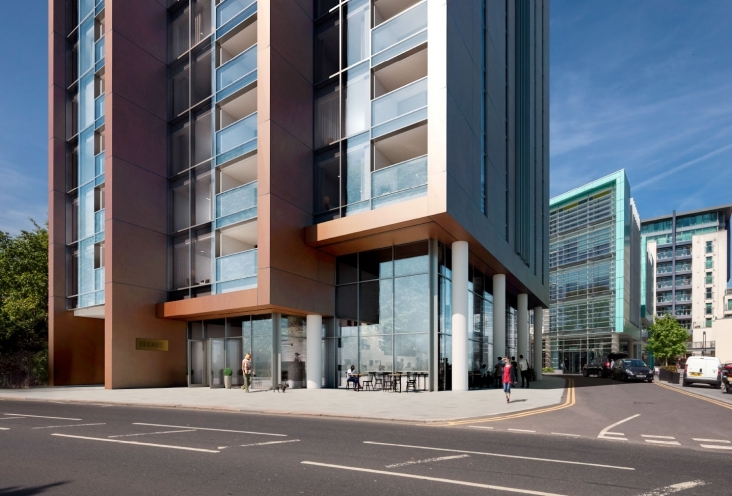 The design is conceived as a cluster of three open bronze tubes that step dynamically in height and stagger in footprint. 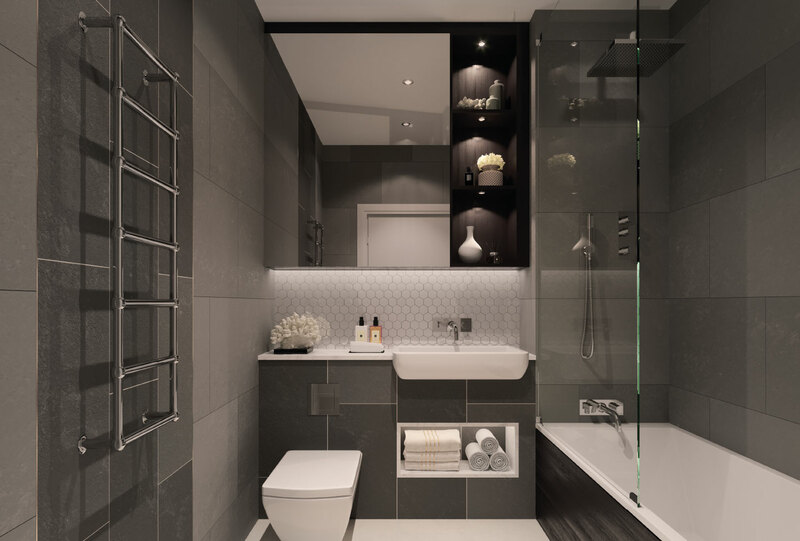 The scheme offers a mix of 1, 2 and 3-bedroom apartments and penthouse duplexes, each with their own recessed balcony. 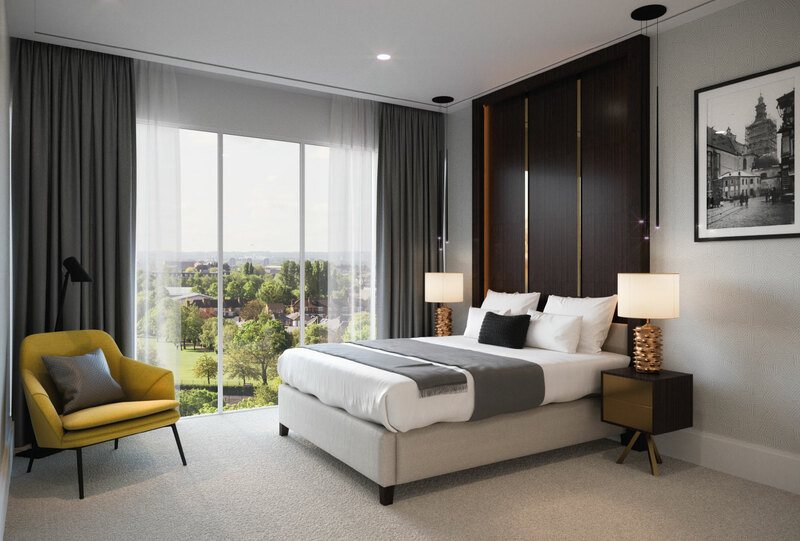 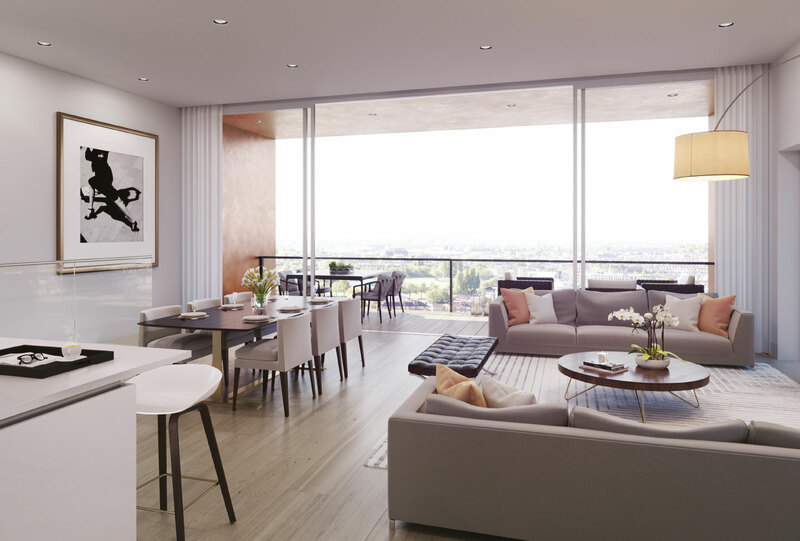 Full height glazing maximises views to King George’s Park and floods the apartments with natural light. 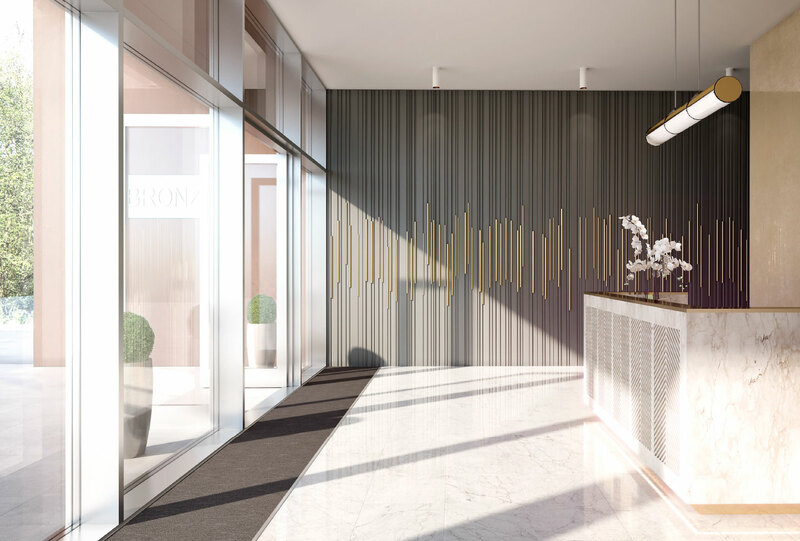 A residential roof terrace sits above the 4-storey office building and the retail element of the scheme is contained within a glass podium fronting a new public square. The square marks the entrance to Wandsworth Business Village and enhances the pedestrian link from Buckhold Road through to Wandsworth High Street. 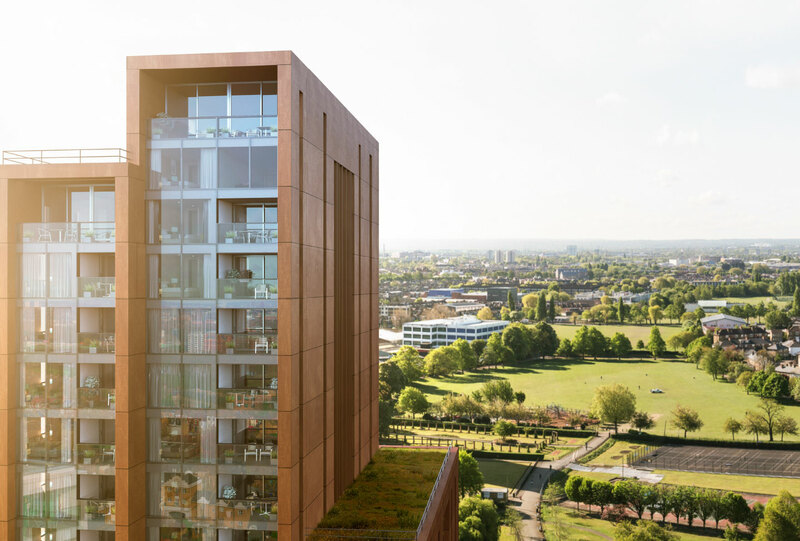 Currently on site, the landmark mixed-use scheme will complete the Wandsworth Business Village development, a joint venture between Workspace Group and Mount Anvil.